(Lithia, FL – April 4, 2016) – CONCEPT Professional Training, a global leader in online professional training in forensic mental health, announced today that it has launched a new professional online training program called Assessing Psychopathy Using the Hare Scales (PCL-R & PCL:SV), presented by Dr. Stephen Hart. The use of the PCL-R has become widespread across many agencies; it provides a standard methodology for assessing this important risk factor. In particular, emphasis is given to the clinical information derived from the instrument and how that information can be used in risk violence formulation. 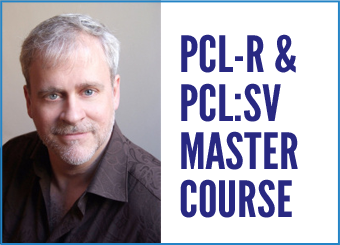 Using a variety of teaching modalities didactic, interactive and practical exercises, this program will introduce participants to the PCL-R. A video case will be used to allow participants to apply the PCL-R ratings and obtain feedback. The strengths and limitations of the PCL-R will be discussed. This training program is perfect for psychiatrists, psychologists, social workers, nurses and those in allied professions working in forensic mental health and correctional services in institutions and in the community. * Learning principles of administration and interpretation, then build related skills by reviewing and discussing case studies. * Describing the most effective ways to communicate their findings, both in writing and orally. For more information on Assessing Psychopathy Using the Hare Scales (PCL-R & PCL: SV), visit here. For a full list of all Professional Online and In-Person Training Programs, visit the information page.